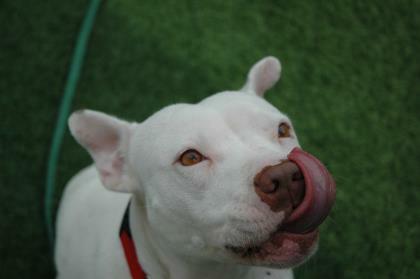 Looking to adopt, please check out the adoptable pets of the week! STORY: Hi! I’m Lulu! How cute am I… I mean seriously. I am a very sweet girl, but I’ve got a naughty side too. I have a LOT of energy, and I love to play, play, play. In my dream home I will get lots and lots of exercise so I can settle down and have a good nap at the end of the day. I love to be pet and paid attention to by the people I am familiar with, but I can tend to get a little excited, and when I get excited I do have a bad habit of being mouthy. This is a habit that my new family would need to help me break, so that I can be the best dog I can be! I would like to live in a home with adults only, as my mouthiness could be scary to kids. I am very sweet and love to give face kisses, and I’m just looking for a home that will love me back and give me lots of play time. Could that be you? Please come and meet me! STORY: Hey guys, I’m Scarlett! I’m 6 years old, I’m a skilled leash walker and I get along with just about anyone and everything! My favorite season is fall because I enjoy playing in the leaves and hiking my favorite trails. On those brisk nights, I love a warm body to share the couch with. Did I mention I’m a die hard Patriots fan? I dream of family get togethers on Sundays where I can watch the game in the company of my forever home ?? As for trick or treat? I’ve already been tricked when my family could no longer care for me and I was returned. So I wait patiently for my treat of being adopted for good. 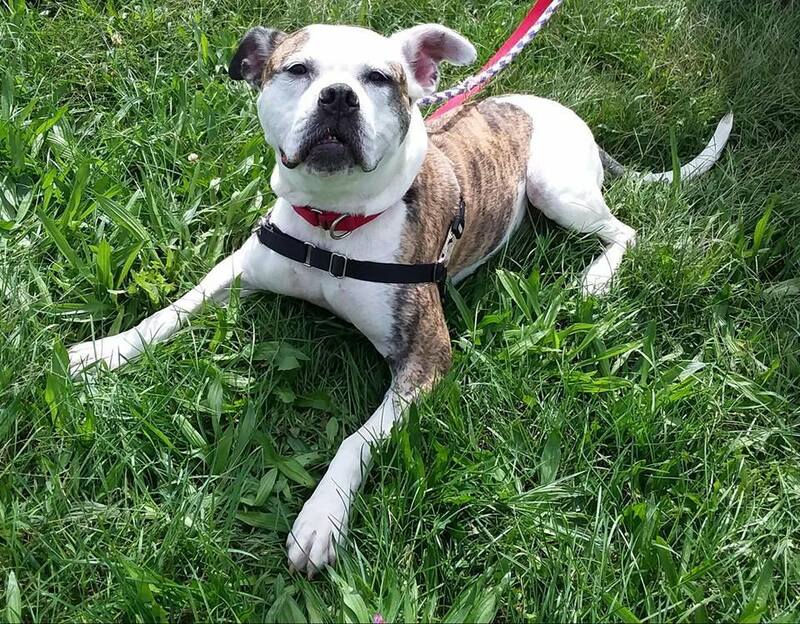 Scarlett is ok with cats and other dogs (with proper introduction) and would make a great companion. If you are interested come by the Manchester Animal Shelter to meet her! 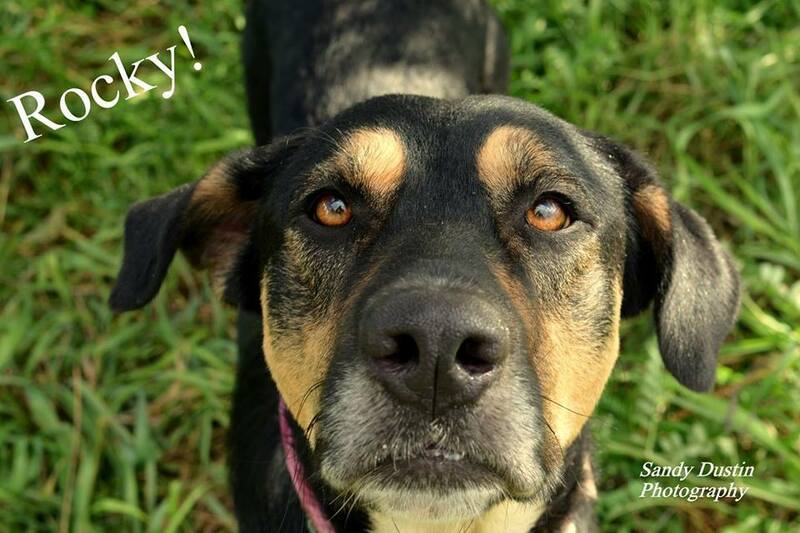 STORY: Meet Rocky! He is about 2 yrs. old and super handsome! 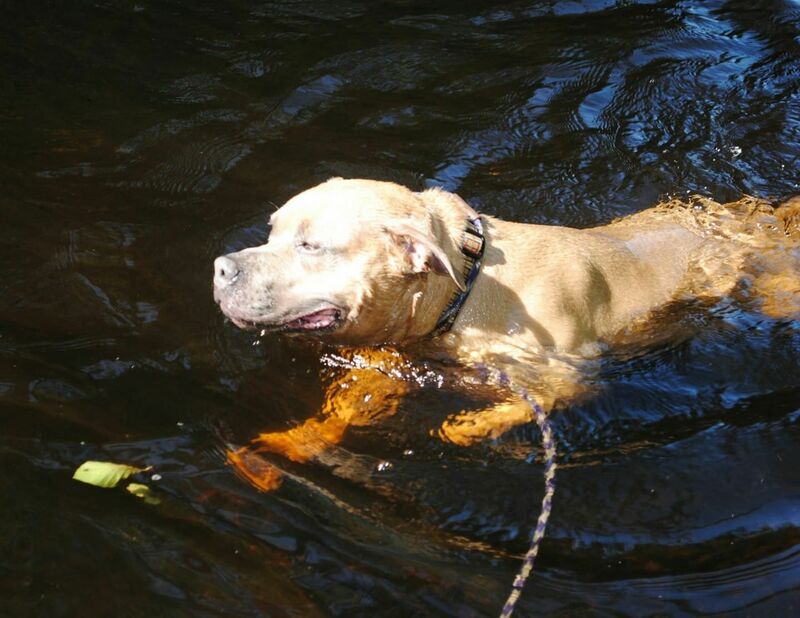 Rocky is a gentle, playful dog who would do best in adult home – possibly with older kids. 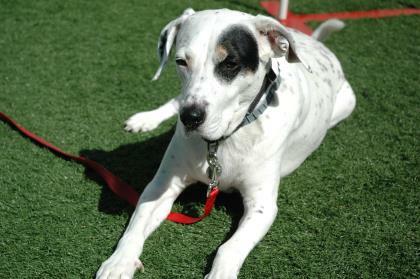 He is a little nervous around other dogs at this time so it would be best to start if he were your one and only. If you are interested come by the Manchester Animal Shelter to meet him! STORY: Hiya, I am Moxi, and I’m here hanging with my best friend, Max! We have been best friends for my whole life, and we’re looking for a home with room for the two of us. Max is more outgoing than I am, but having him by my side helps me come out of my shell! I promise that underneath my nervous exterior is a sweet, loving soul. Won’t you give us a chance? Hiya, I’m Max and my best friend next to me is Moxi! We are two older besties who are looking for a home where we can stay best buds. My friend Moxi is more nervous than I am, but as long as we’re together, she knows that it’s gonna be okay. What else are best friends for? I’m super playful and love to snuggle with my humans! We’re both patient and gentle friends, and we love everyone we meet (once we get used to them, of course). I promise that with a little patience and lots of love, we will shower you with doggie-kisses! Ask to meet us! 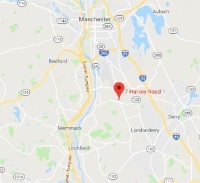 Please come and meet with me at The Animal Rescue League of NH. STORY: Psst, over here! I’m Binx, and while I’m a little nervous in the shelter, I’m a true gentle soul. I love having my cheeks rubbed, and I’d love nothing more than to come home with you! Warm snuggles and love are what life’s all about, right? I’m an older gent, but I promise that I’ve got more than enough love left to give! I’m the perfect guy for these cooler fall evenings; who needs a heated blanket when you’ve got lil’ ol’ me? I would prefer to call the house my own, as too much hustle and bustle can be overwhelming for a mellow guy like me. I do a have a little more “life experience” than some of the other cats around here, as I’m almost 12. With my experience comes a little extra effort in my day-to-day care. I have a condition called hyperthyroidism, which is common in older folks like me. I need a small pill twice a day, but if it’s crushed in my wet food, I’ll lap it right up! I’ll even let you in on a little secret–I love, Love, LOVE the wet food with gravy! I’ll lick in clean in seconds! If you have extra room for a sweetie pie like me, please ask to meet Binx! 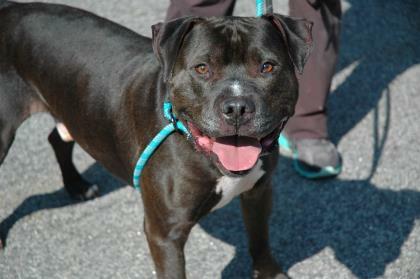 Please come and meet with him at The Animal Rescue League of NH. STORY: Meet Ichabod! This handsome young guy came to the shelter as a stray and was never claimed. He is full of fun and playful energy and would love a hiking or running partner. Ichabod is also eager to show off his learning abilities with someone who will train him and teach him all kinds of new things! 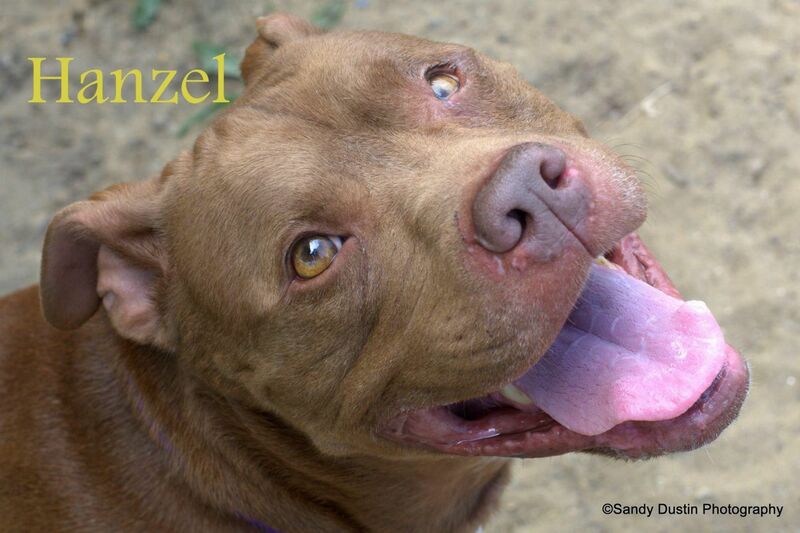 STORY: Let me tell you a little about myself my name is Hanzel (I also respond to the name Handsome BOL) and I’m a 8 year old sophisticated Pitbull. Wait a minute I know what you are thinking and no I’m not a lazy old dog. 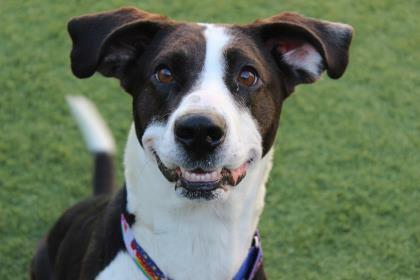 Actually I’m a very energetic, active, happy go lucky, smart, beaming pup who would love for you to take the time to get to know me. Ok no I’m not a puppy anymore but older pups have a lot of benefits that you may not have considered. For instance, I’m housebroken, crate trained and have some of my basic education under my fur. I’m very fluent in sit, paw and very willing to learn more. I don’t beg, ok maybe I do a little, but I’m not rude and won’t steal your food. If I’m patient enough it usually pays off with being rewarded with one of my own treats. I’m very attentive and willing to attempt most anything when I’m bribed with cookies. I’m well past my chewing stage so your furniture is safe, but please remember to give me my own toys that are acceptable to chew on. I’m an avid believer that in order to stay happy and healthy one must be diligent in maintaining a regular exercise routine. I enjoy going for walks, trail seeking, playing in the yard and running around like a nut. My leash skills are not horrible but I can admit when something needs improving. I enjoy playing with toys and can entertain myself if need be. I love to entertain my audience and will be the first pup to let my fur down. At the end of the day after play sessions, exercise and fun it’s time to relax cuddled up to you. We can do whatever you want as long as I’m with you. Some other things you should know, unfortunately I have absolutely no social skills, manners or fondness when it comes to any of my furry friends. Some pups rub me the wrong way and I can be bratty when passing them by (please make sure I’m leashed at all times when out in public). I need someone who will take the time to teach me how to ignore my surroundings and concentrate my focus on you. Another thing is that I don’t understand kids and they tend to make me nervous, so a home where I can be your one and only kid is necessary. I have a heart of gold and wear my emotions on my paws. I’m looking for someone who will make the effort, be dedicated and work with me on some of my short comings. No one is perfect, nor do I claim to be, but I’m very loyal and loving. If I extend my paw will you extend your hand? I hope so because if you give me a chance I promise to make you proud. Come down to the Manchester Animal Shelter for a visit and say hi. I’m waiting to meet the first person I will see when I wake up and the last person I will fall asleep next to. STORY: Hi there, my name is Socks! Do you like to play fetch? I LOVE TO FETCH!!! I am a VERY busy doggy. As a typical hound, when I go outside I just have to investigate EVERYTHING! Can’t leave any stone unturned, right? 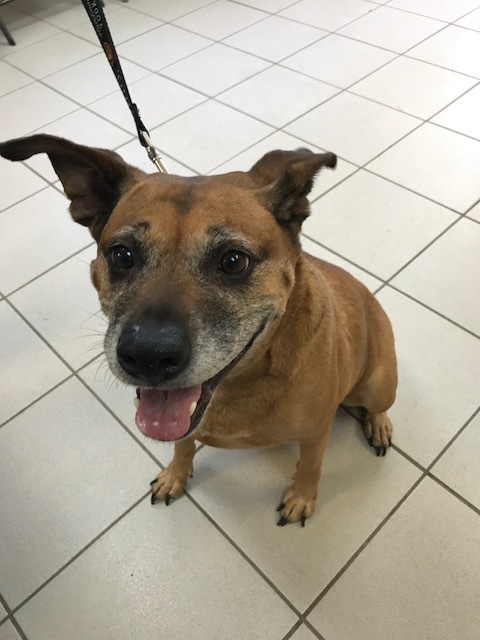 I am a very energetic dog who would love to be in a home where my adopters can give me a job, did I mention that I love to fetch?!? Sometimes I tend to be a little loud, but the world is just too interesting not to bark sometimes! The staff here thinks that I would be best as an only pet. I think someone who has experience with hounds would just love me. If you are looking for someone like me, please come and meet with me! STORY: Meet Hamish! This handsome guy is about 7 yrs. old – and loves the water! He will splash around all day in the kiddie pool! He can be a little shy when first meeting him, but he warms up quickly. He would be best in a quiet adult only home with someone who wants a new best friend! If you are interested in Hamish, come to the Manchester Animal Shelter to meet him! 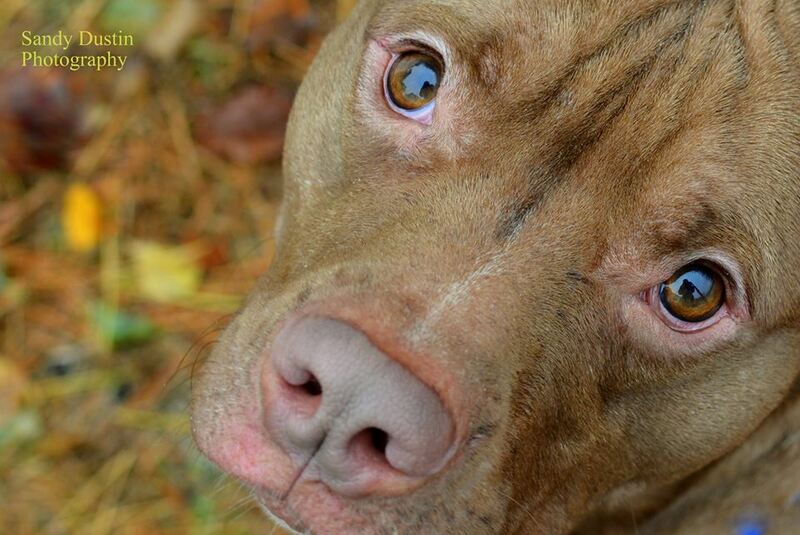 STORY: Meet Nevaeh! This poor girl has had a very long road! She is an 8 yr. old Boxer mix who was originally abandoned at the shelter and was very emaciated. 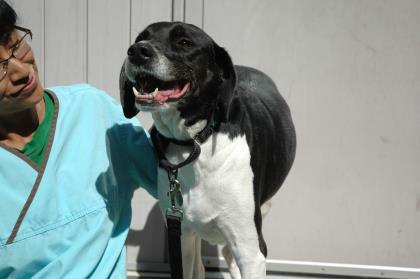 She was returned to the shelter through no fault of her own and now is looking for a new home. Nevaeh is a very sweet girl! Don’t let her age fool you – she has plenty of great energy. She does want all of the attention to herself and needs to be the only pet in the home. STORY: Hiya, Ozzy here. I know I might look big and scary, but I promise, I’m quite the opposite. I’m actually a big lazy baby. I really am just looking for somewhere where I can lay on a couch all day again. I have lived with cats and even rabbits, and I was quite polite with them, but I think for now I’d like to be your one and only snugglebug. I love toys, but I can sometimes get a little over excited, which might be too much for kids sometimes. I like to have lunch with my human friends, and I HATE the rain. Ground is wet? No thank you. Storm? Absolutely not. You. Can’t. Make. Me. I am really a sweet boy, and I am super potty trained too! I promise I’m a catch, give me a chance? 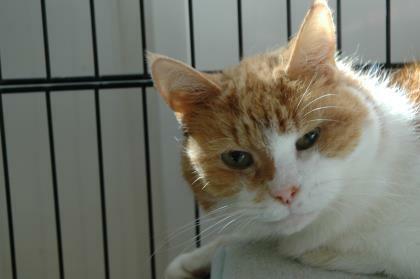 If you are looking for someone special like me, please come and meet with me at The Animal Rescue League of NH.